Contact us and come visit the Poodles! Come join our 3rd annual party for Poodles and all People that love them! Sponsored by the Columbia Poodle Club, Inc.
Bring your well-socialized Poodle(s), meet other Poodle owners and join the fun! 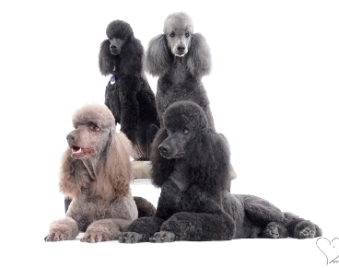 Everyone young and old(er) can compete with their Poodle – tons of fun. Cost: $15 per person (pay at the door). with no. of people and cars. We have a safe and secure fenced and cross fenced property for your pets with shade and separate areas for different sizes. Poodles should be over six months of age. ** 501(c)(3) non-profit organizations dedicated to animal and Poodle welfare.